Most service providers have infrastructure for voice, not data. They have had to retrofit, have had to push an unnatural act. There is one language spoken on Jio, the language of the Internet: IP. The all IP design makes Jio the most extensive and future-proof in the world. Jio is a data strong network, built for the Internet from the ground up. Will cover 90 per cent of India’s population by March 2017. Only 4G on Jio network. Largest only 4G network in the world today. Largest VoLTE network in the world. Jio is future ready and can be easily upgraded to support even more data. We can transform India from a high price data market to one with the lowest data rates anywhere in the world. More 70 per cent of all smartphones in India are 4G LTE. Ambani announced new Lyf devices with prices starting at Rs 2,999 and going up to Rs 5,999. 4G LTE JioFi router at 1,999. Ensured that entry price for using the network will be low for Indians. Jio TV will offer access to 300 plus channels. Jio Cinema will have a library of 6000 movies and 1,00,000 episodes of TV shows. Jio music as 10 million songs. Jio Money allows you to go cashless. Apps will be free for all users till December 2017. Redesigned sign up process which will roll out in Delhi and Mumbai today. Rest of India within six weeks. Capacity to acquire a million users a day. Want to make onboarding experience as simple as possible. E-KYC will give you a working connection with Aadhar card in just 15 minutes. Have always put customer first. 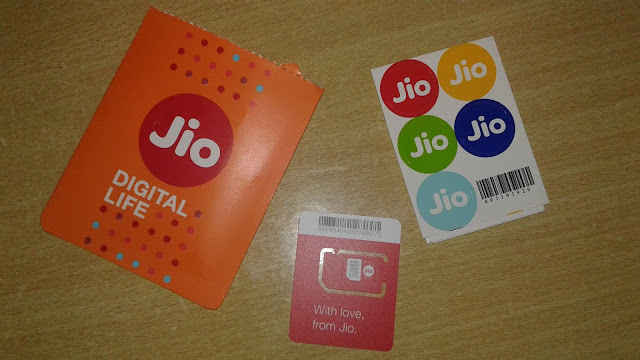 Jio tariffs are built on three principles. customer should play for only one service — voice or data. So all voice calls will be absolutely free. No roaming charges across India.